The Hospitality Sales and Marketing Association International (HSMAI) will bring together senior hotel and travel marketing professionals at its 2019 HSMAI Digital Marketing Strategy Conference on January 23 at the New York Marriott Marquis. Conference attendees will gain strategy-focused insights and solutions into “Marketing in a Digital World” from presentations with practical applications, thought-provoking conversations, and exposure to the latest tools to drive revenue and engage guests. HSMAI’s 2019 Digital Marketing Strategy Conference will take place the day after the HSMAI Adrian Awards Gala. In keeping with this emphasis on the customer journey, this year’s conference speakers and sessions will address new developments in marketers’ efforts—online and off—to connect with, track, and influence consumers throughout all phases of their travel. The one-day conference will be kicked off by Keynote Gopi Kallayil, chief evangelist of brand marketing at Google, who will explain how successful brands improve personal assistance and reduce friction at consumer touchpoints. Attendees will be treated to a candid panel discussion featuring leading chief marketing and digital officers on marketing hotels in a digital world. In 7-minute, lightning-round style talks, executives will share case studies and ideas for driving revenue and profit that attendees can apply to their own properties or can gain better understanding of key high-level concepts. AI is an overused buzzword. Are hotels ready for the reality of it? David Atkins, principal and co-founder of Digital DNA Infusion, will discuss how the first “killer” app for artificial intelligence that could impact hospitality, travel, and tourism is coming sooner than most hoteliers think. When it does, it will likely cause massive, wide-ranging impacts to all aspects of hospitality, travel, and tourism similar to those that accompanied the interstate highway system in the United States. The 2019 HSMAI Digital Marketing Strategy Conference will also feature 12 breakout sessions—more to choose from than in previous years—throughout the day. Attendees can look forward to exploring diverse topics, including the following: traveler data trends and booking behavior, influencer marketing, legal considerations for digital marketing, personalized marketing, optimizing user interface and the consumer’s booking portal experience, and harnessing digital opportunities to inform pricing decisions. The breakout sessions have been categorized into 3 topic tracks: Marketing Strategy, Digital Tactics, and Cross-Discipline Integration. Thank you to HSMAI’s conference partners. Silver: BCV, Booking.com, Cendyn, Milestone, Tambourine, and TravelClick. Bronze: DerbySoft, Expedia Group Media Solutions, HEBS Digital, IDeaS – A SAS Company, Knowland, Koddi, Stackla, TRACK Hospitality, and Triptease. To learn more about partnership opportunities, please contact Elise Rhinehart at erhinehart(at)hsmai.org. Early registration rates available until December 21, 2018. Hotel group rates also available. View the full agenda for additional information and to register for the event. Media passes are available by contacting Andrea Bomar at abomar(at)hsmai.org. Canaves Oia Hotelin Greece was awarded Best Hotel Video for “Canaves Oia —Where Time Stops” showcasing a unique cinematic style and engaging narrative that depicts the hotel as a timeless holiday retreat. And finally, the annual award to recognise a significant newcomer to the SLH family this year was designated to Domaine Misincu in Corsica. Since opening in July 2017, the hotel has received an unprecedented level of interest, press coverage and reservations. For more information or to make a booking visit www.slh.com or call 1-877-234-7033. MONTREAL, Nov. 15, 2018 /CNW Telbec/ - Just eight months after it opened, the MONVILLE has already established itself as the go-to hotel in Montreal by winning four awards, including 2018 Hotelier of the Year. Located in the heart of the International District, where Old Montreal meets the downtown, the MONVILLE welcomes visitors and Montrealers in the vibrant spirit that makes the city an outstanding destination, offering unmatched service, fine dining, panoramic views and unique state-of-the art technology that make the experience even more enjoyable. Its first season is not yet over and already the tourism industry is celebrating the innovation and savoir-faire of the team behind the MONVILLE, following the success of the Gault. This fall, in addition to the Prix Hôtelier de l'année 2018 Cogeco / Vidéotron awarded by the Association Hôtellerie Québec, the MONVILLE received the 2018 Prix Hotelia from the Association des hôtels du Grand Montréal, the 2018 Prix Excellence Tourisme in the Accessible Tourism category from the Alliance de l'industrie touristique, as well as the Commercial Development Award from Destination Centre-Ville. These various honours celebrate a number of the MONVILLE's features, including innovation, the guest experience, the design and layout, local sourcing and accessibility. Reinventing the hotel of the 21st century, the MONVILLE is 100% connected, with a smart robot that delivers orders to the rooms and a quick, easy check-in system with interactive terminals, allowing the team to devote more time to telling guests all about Montreal's many attractions. "We're proud and pleased with the reaction to the MONVILLE's distinctive offering, both from our customers and our partners in the tourism sector. We put in the time needed to imagine the hotel experience of the future and to develop it, drawing on local talent and know-how. Seeing our ideas come to life and our efforts rewarded encourages us in the way we approach the art of hospitality," Jean-Cédric Callies, director of sales and marketing, HÔTEL MONVILLE and HÔTEL GAULT. TORONTO, ON (November 2018) – Realstar Hospitality today announced the location of its newest Days Inn by Wyndham franchise. Located in Saint John, the conversion property features 86 spacious guest rooms, each appointed with flat-screen TV, free Wi-Fi, plush bedding, mini-fridge and microwave. Prior to opening, the hotel refreshed its look in all public spaces, guest rooms and the building’s exterior. In order to enhance the guest experience, the project included extensive upgrades to bedding, flooring, furniture and brand new hotel artwork. Additional onsite amenities include complimentary Daybreak Café breakfast, an indoor pool and fitness centre, meeting space and a business centre, along with free parking. 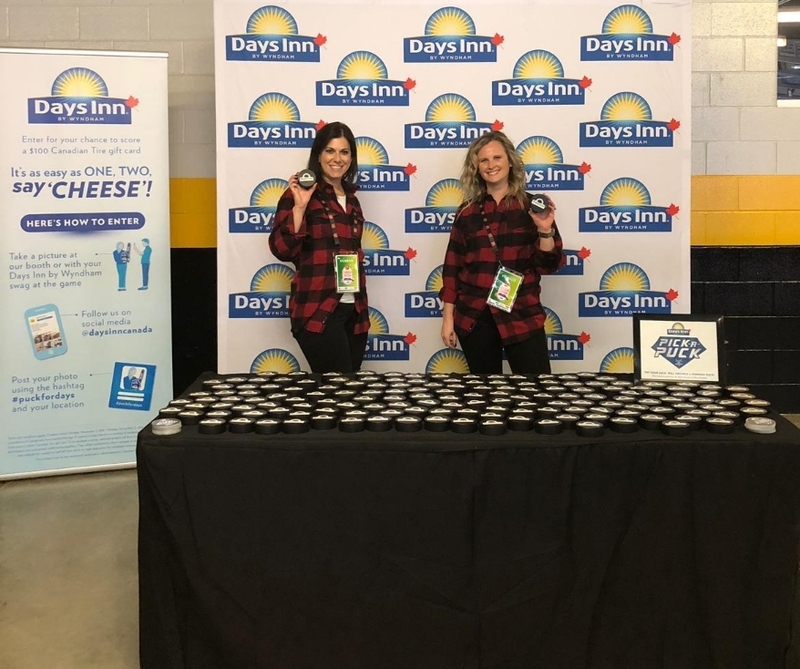 “Days Inn by Wyndham Saint John is a great addition to the brand, helping to broaden our distribution of Days Inns across New Brunswick,” said Irwin Prince, President & COO, Realstar Hospitality. “With the opening of this hotel, we can offer travellers – both business and leisure alike – an excellent choice in accommodations. Conveniently located at 175 City Road, reservations can be made by visiting www.daysinn.ca or by calling 1 800 DAYS INN (1-800-329-7466).